Are you in need of Church Bell Manufacturer in Indianapolis Indiana? Smith Bell and Clock Service provides nationwide Church Bell Manufacturer Repair & Provisioning and service to our clients in Indianapolis as well as clients all over the USA. Every Church in America needs a bell. This is our motto. Church bells will remain a mainstay in society for centuries to come. Church bells signify many things: A call to worship, an alarm, a somber mood, celebration, melodic tunes, and funerals to name a few. 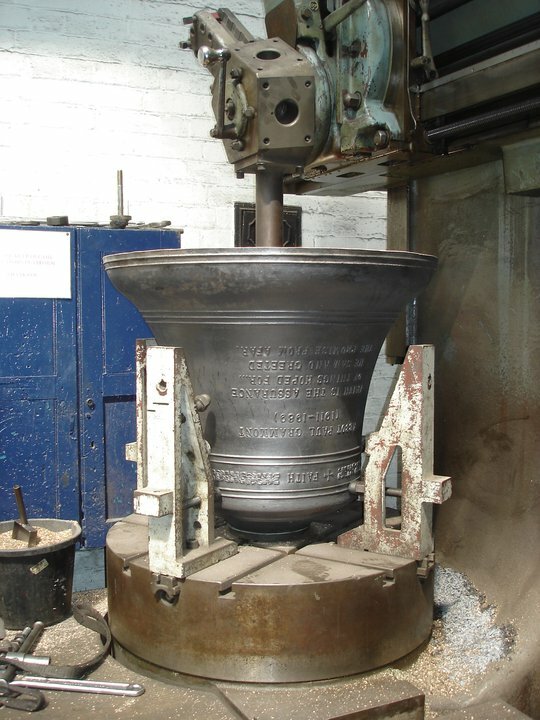 Smith’s Bell has perfected the Church Bell Peal and can offer consultation in choosing the right bell. A true swinging bell is outfitted with a Bell Yoke (or headstock), Clapper (falling or flying clapper), bell wheel, and other accessories. Also to note is the way we use the help of technology today in Church Bell Manufacturing. Swinging bells, and or stationary bells, can be setup to ring automatically with our digital controller. We offer slow start motors that are easily programmable, and are safe on old tower structures. Church Bell Manufacturer’s have not only catered to Churches specifically, but have spread to communities and municipalities. We have implemented Bells in Archways, terminals, gathering or focal points, and have cast bells for retirements and weddings. If you would like to know more about how Church Bells are crafted. Please visit our Bronze Bell Manufacturer page. The take home message about Church Bells is that they are a lasting gift to not only the Church, but your community. Every time the bell sounds, it is a cherished event that everyone can enjoy. Can you imagine having your name cast in a bell that will last forever? Contact us to find out how to leave your legacy. If you would like to see a demonstration of swinging bells for your church, contact us today! If you are in need of church bell manufacturer assistance, then call an experienced and knowledgeable company like Smith’s Bell & Clock Service. Call us today at 317-847-4092.